Collaborative learning has been getting more importance in educational environment as one type of mobile learning application. In this learning environment there are a shift of learning approach, i.e. in a traditional approach the focus is on the teacher and in static and repetitive contents, oppositely with a collaborative learning the learn is centered in the students where they have a critical apprehension of contents that goes beyond the classroom, students could learning in different places. Learning supported by mobile technologies is becoming a new approach towards education, and it is single in the way that offers opportunities to learn anywhere and anytime. 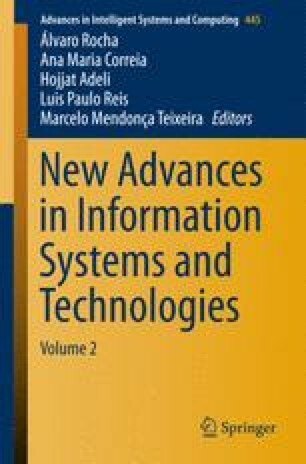 This paper introduces the foundations of collaborative learning supported by mobile technologies as well as presenting and analysing the evolution of collaborative learning supported by mobile devices in Portuguese (North region) Higher Education Institutions between 2009/2010 and 2014/2015. Wenger, E. (2006). Communities of practice: a brief introduction. Institute for research on learning. http://wenger-trayner.com/wp-content/uploads/2012/01/06-Brief-introduction-to-communities-of-practice.pdf. Panitz, T. A definition of collaborative vs cooperative learning. http://www.lgu.ac.uk/deliberations/collab.learning/panitz2.html. Wiersema, N. How does Collaborative Learning actually work in a classroom and how do students react to it? A Brief Reflection. http://www.lgu.ac.uk/deliberations/collab.learning/wiersema.html. Viteli, J. Finnish Future: From eLearning to mLearning? (2000). http://www.ascilite.org.au/conferences/coffs00/papers/jarmo_viteli.pdf.